More often than not, the strict, and somewhat rigid, routine of school life takes away the one thing precious to children: their childhood. 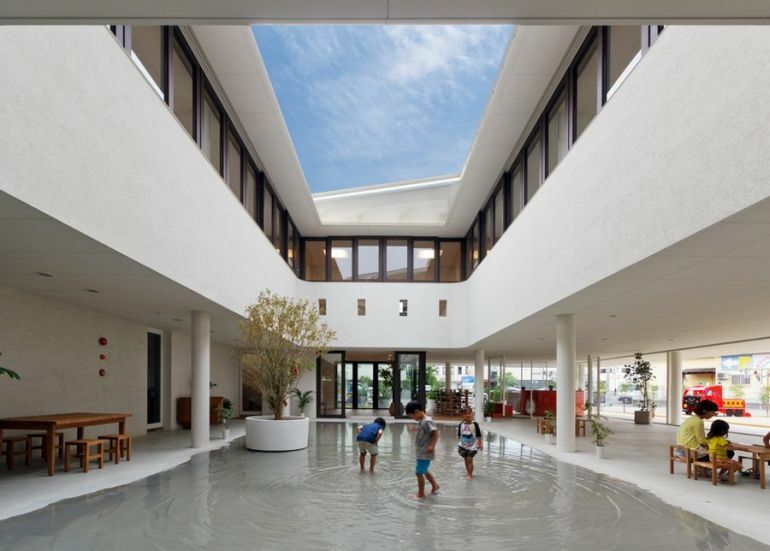 However, a new preschool in south Japan is encouraging kids to be kids, – all with the help of rainwater puddles. 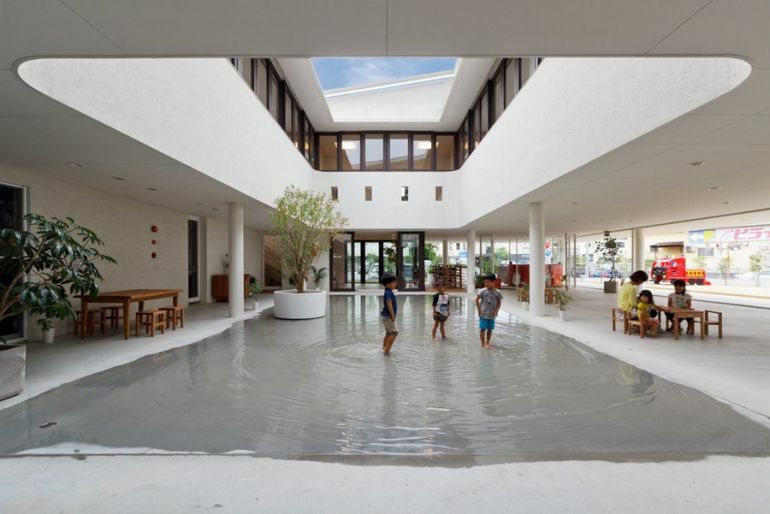 Designed by Youji No Shiro, an architectural firm that builds kindergartens and nurseries for kids, the Dai-ichi Yochien school features a wide, open courtyard that collects water, from a heavy downpour, into a giant puddle for children to splash around in. 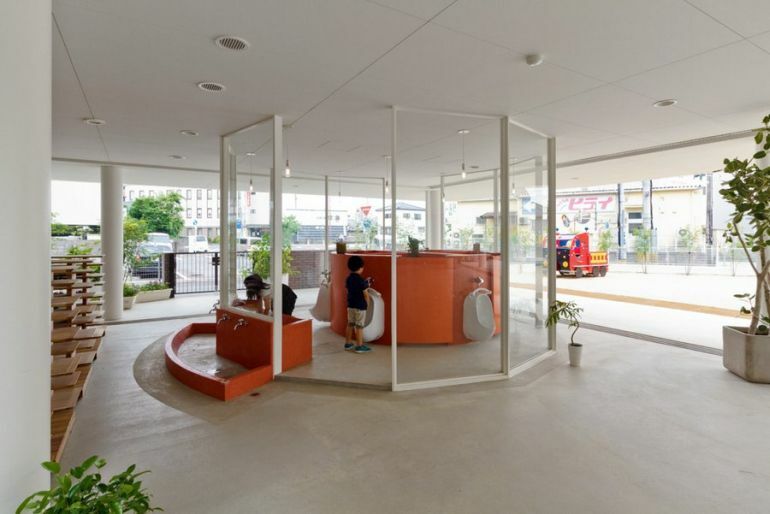 An integral part of one’s childhood, outdoor play is just as important to a child’s personality development, as studies. 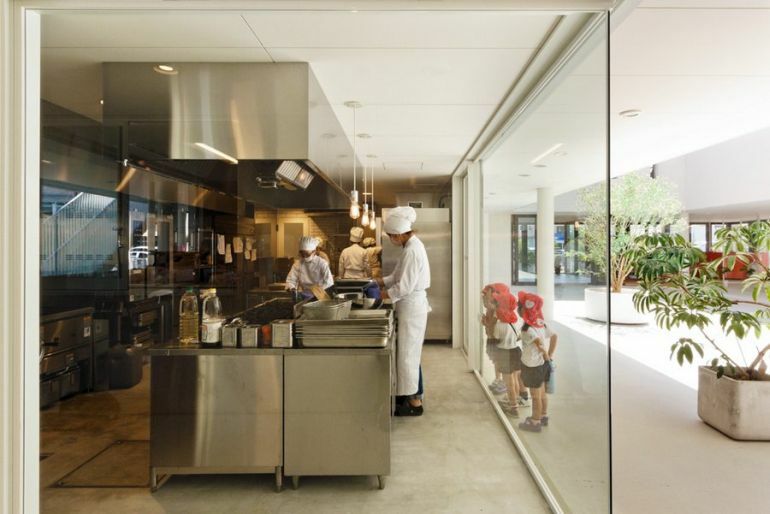 However, often times, overly protective parents prevent their kids from going out in the rain, lest they may get wet and consequently, fall ill. 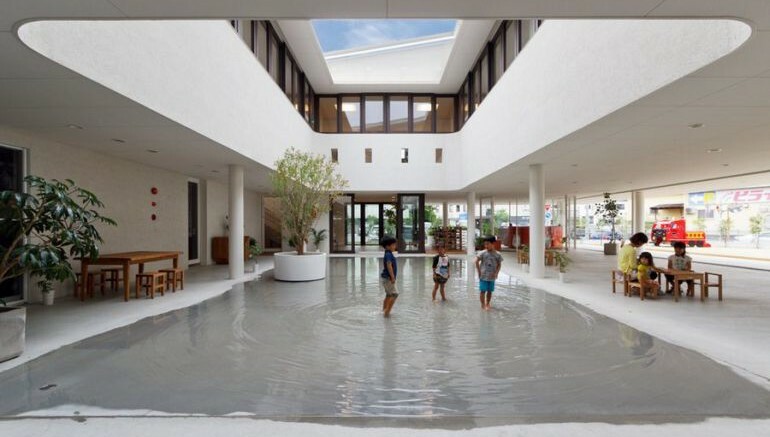 Located in the Kumamoto city of Kyushu, the new preschool allows its students to play around and waddle through puddles, as part of a flexible and unrestrained curriculum aimed at fostering curiosity and free thinking in the children. 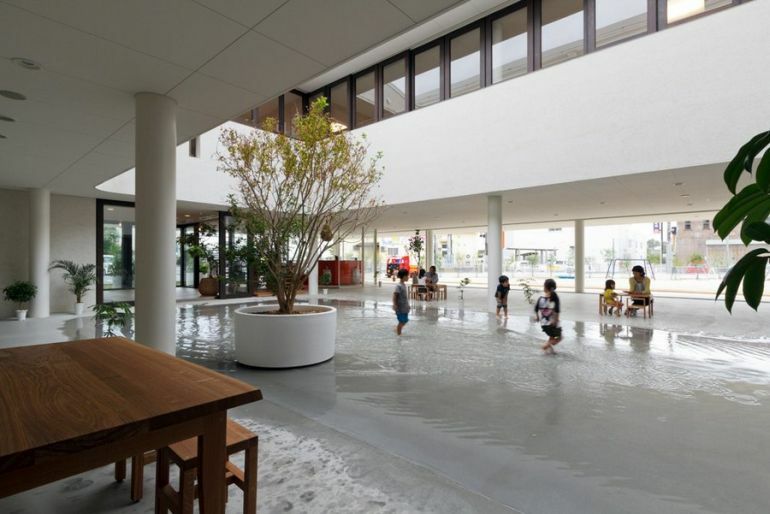 Interestingly, the courtyard is designed such that it doubles as a badminton and softball court, when dry. 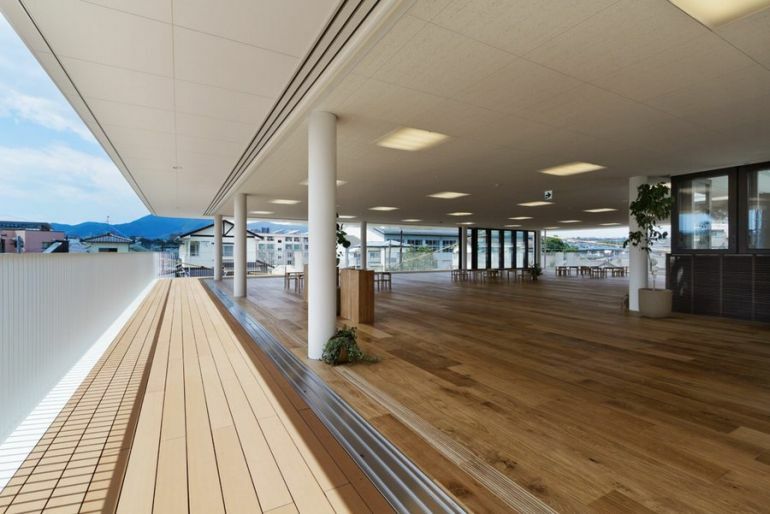 During winters, the space can even be used as an ice skating rink. 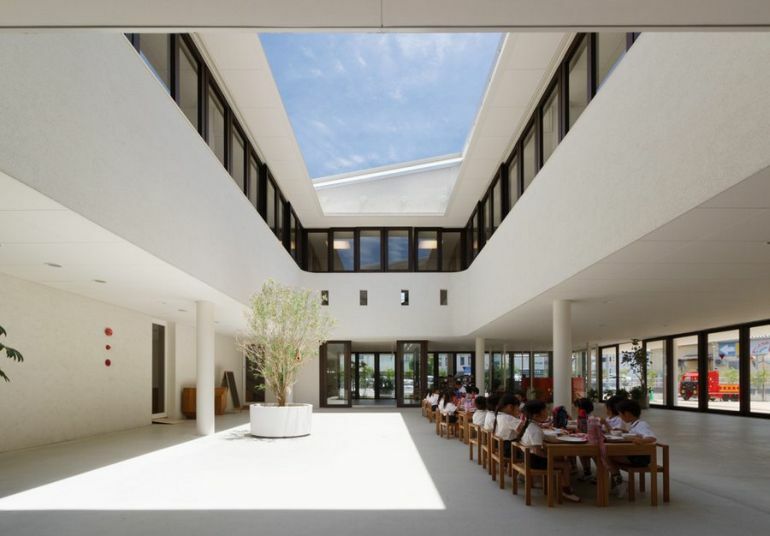 The courtyard is only one of the several aspects that make the school truly unique. 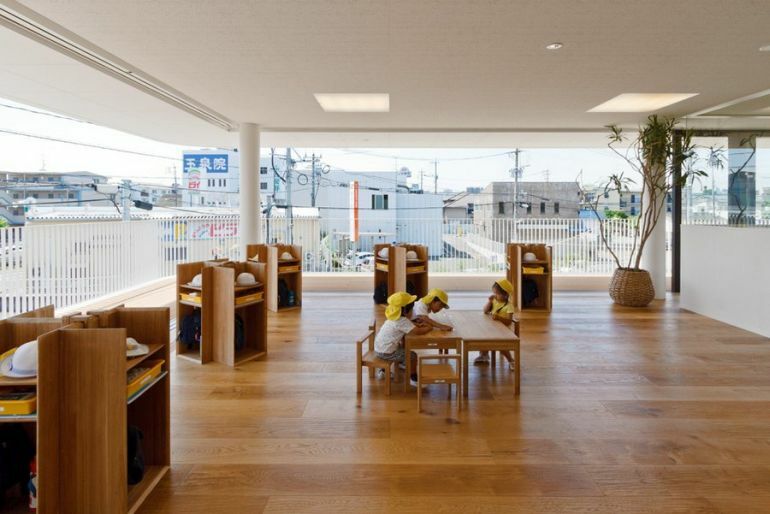 Boasting an innovative open floor design, the preschool uses furniture as partitions between different classrooms. 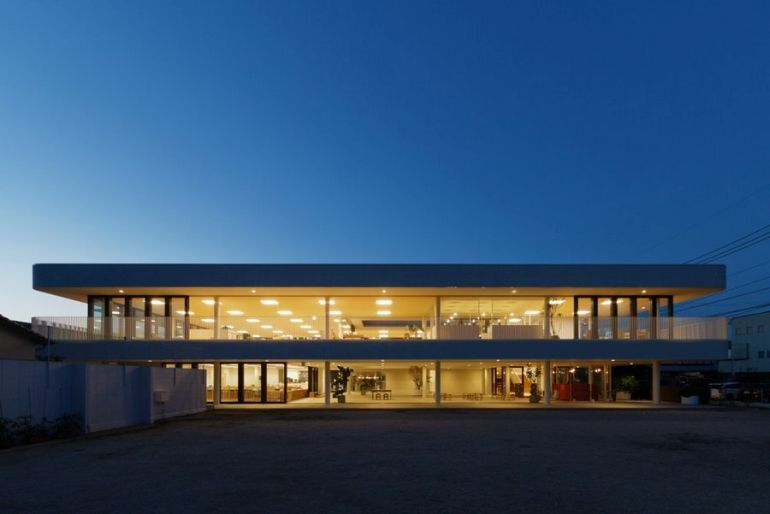 What is more, the students are required to bring their own sets of desks and chairs, and are responsible for their safekeeping until graduation. 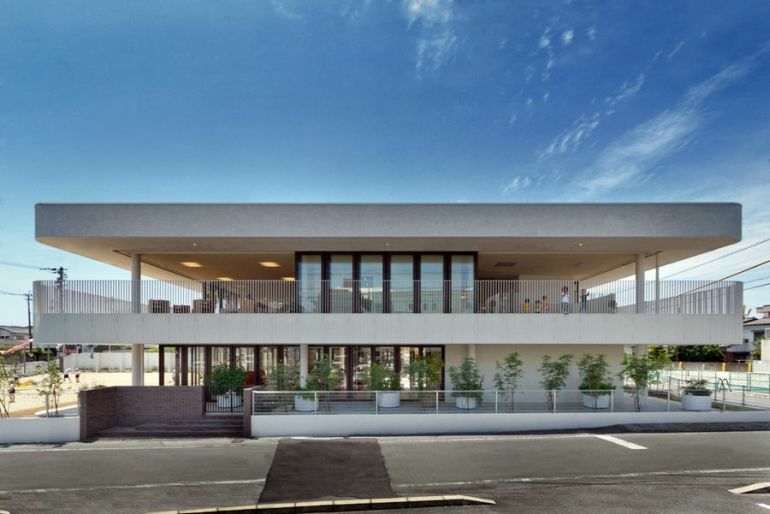 Youji No Shiro is run by award-winning Japan-based architectural practice, Hibino Sekkei.